Sun Hing Foods: Parrot Brand Coconut Milk 13.5 fl. oz. LikeParrot Brand Coconut Milk 13.5 fl. oz. 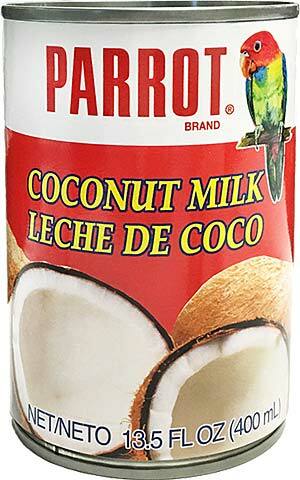 Parrot Brand Coconut Milk is extracted from the grated flesh of fresh coconuts. Their natural flavor and richness are captured in the can. Parrot Brand Coconut Milk adds great flavor and thickness to curries, vegetable, seafood, poultry, beef, desserts, soups, and drinks.